Recently it dawned on me that I rarely share my work as a Creative Director in the beauty industry. I do have it featured under client work, but I’ve never actively shared it on the blog. I was curious why, so I began to explore what was the reason for keeping my social media persona and my work life so separated. At first, I thought maybe it was because I didn’t want those worlds to collide. Mainly because I feared it would be too much for me to manage, but the truth is now that I’m at Cos Bar, I also head the content strategy for the brand which blends my alter ego skillsets with my day job as Senior Director of Content + Creative. So basically that can’t be an excuse for hiding away my work. Then there was the thought that I wear too many hats. As Creative Director, at least in the marketing world, the job requires lots of juggling. Some job duties include: managing a budget, a team, meetings a galore, mentoring, photo shoots, castings, outreach, traveling, etc. The list goes on, but I can honestly say I am never bored. One of the many reasons I love my job. This definitely couldn’t be the reason why I’ve been in MIA mode either. Then it dawned on me. Years ago I had surrounded myself with people that liked to tell me what they thought I should be doing when it came to social media, my business and professional career. At this point, I was pretty new to the entrepreneurial game and desperate to find a group of individuals I could run with. One of their favorite sayings for “hanging out” was, "let's get together so I can pick your brain." YUCK. If that wasn't a red flag, I don't know what was. I was looking for a community, a safe place to share my goals, but the reality was, they really weren't my "community." Instead, it was a mix of people sharing advice about things they hadn’t tried themselves, and boasting about success by critiquing others. Looking back I’d sum it up as a weird reality show filled with characters like wannabe life coaches, toe-steppers (you know, the person that loves to steals everyone's ideas) and spectators. A real circus instead of a community for lifting each other up. My younger self had no idea this circus existed, mainly because I had just left one behind at my Executive Creative Director position for an e-commerce store. 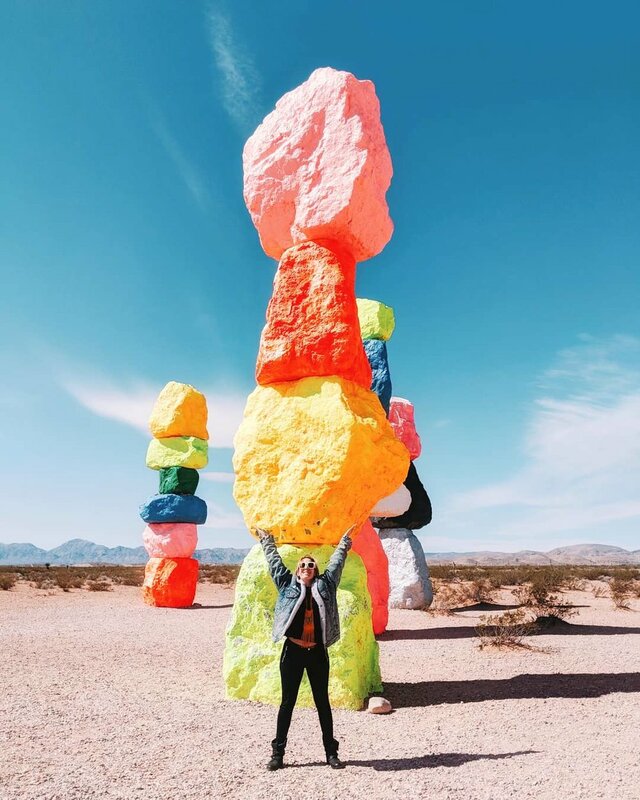 Until I started doing Lacy's work, didn't realize how much of that experience was poison, which became an infection that slowed down my growth and overall happiness. Sigh, if only I had practiced selective hearing back then. It took a couple years, but I soon found my stride and boy, was it an interesting ride to get here. Thankfully I did a little reprogramming, and now that experience goes into my toolkit as a huge teachable moment. Playing small isn't part of my story anymore. No more limiting my self-worth or looking to others for the answer. The work I do is fun, and I am fortunate to be doing something in an industry that isn’t so serious at the end of the day. And what about that community issue I was having? I'm happy to say I found a robust one that celebrates success, well-balanced work/life, encourages each others growth and understands that the best way to step up is actually to STEP IT UP. No sitting on the sidelines making commentary with this group. Nope, nobody’s got time for that mumbo jumbo. We're too busy living, and understanding the art of trials and errors to gain the most success. That brings me to my next order of business. I'm excited to share with you all a new column called CREATIVITY that will explore my learnings as a creative within the beauty industry, as well as life, and share with you more of my creative direction, photography, package design, and visual content work I do on the daily. I'm hoping by sharing some of my teachable moments that it will help you on your journey. 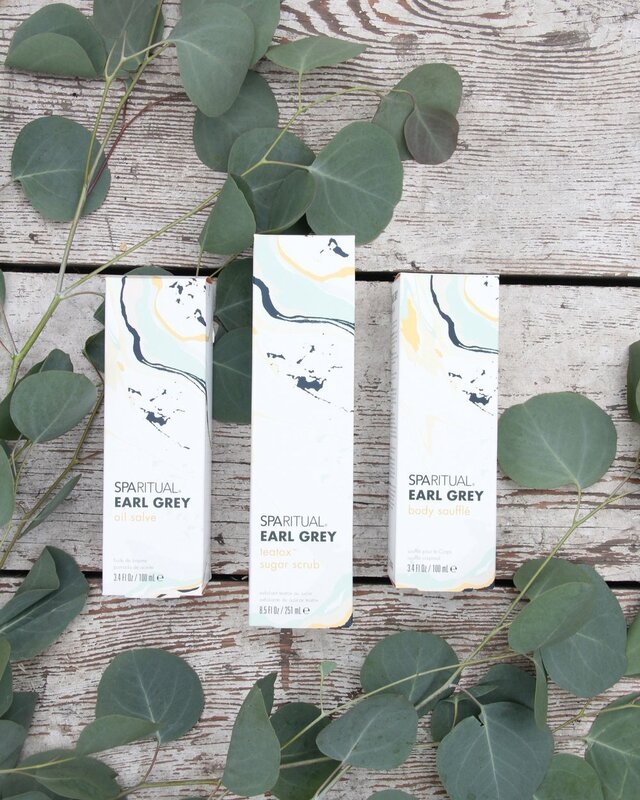 To begin, below are photos created for SpaRitual’s Limited Edition Earl Grey Collection. I worked with Shel Pink, founder of SpaRitual, to create the limited edition spa set focusing on an ingredient story of earl grey tea and marigolds. I worked with a team of two designers to create this packaging (primary and secondary), as well as the styling and photography which was shot in my backyard on an overcast, cloudy day. (The perfect natural lighting!) The props were sourced from my collection of treasures I've acquired along the way. Prayer beads from Europe, vintage brass tea set from Westwood thrift store, marigolds from Flower Market in DTLA. Crystals from my personal collection. What made this project so successful was the collaboration, trust, experimentation we created together. From Shel and I brainstorming about potential ingredients to Hannah, Joanna and I playing with that marble patterning until we got a case of the crazies. This is what makes the work rewarding. The people you are in the trenches with. Creative direction for packaging design, photography and overall styling by me.